Times have changed. No longer can you just stick a sign in the yard and get a home to sell. Agents and home owners have to come up with innovative ideas that will spark interest in a buyer’s mind. For some homes, this is a relatively easy task, but there are those rough gems out in the world that need all the help they can get. So if you have a tank, you might enjoy the following property. My father-in-law has a brother that lives in Montana. If you have ever been to Montana, you would know that it is a very vast space of land, where remote locations could be only ten miles out of the nearest town. It is also a state that doesn’t have a large caravan of relocating buyers coming across the border. Anyway, I was sent the web addressfor my relative’s remote property that he has for sale. ” This is truck country – 4 wheel drive only certain times of the year. If you don’t plow the last mile you will probably be snowed in for a few months every year. The road is 3 1/2 miles long – the first 2 1/2 miles is a mostly unmaintained forest road – the last mile is a private road. The road is gravel, dirt, rock, and at certain times of year mud. If you like mudding – this road can be an absolute hoot. 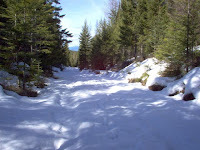 There are certain times of year that 1000 feet of this road can be little more than a mud bog. Well, maybe I’m overstating a bit, but there have been times and I hope you get the picture. If you do not have to go anywhere this road can be the perfect isolating mechanism for your own private retreat. Got a Hummer or tank, not worried about the road, take your best shot”. Now does that paint a picture of what you are getting into if you like this property? I love the fact that the entire description of this property is telling people what to fully expect and paints the reality of living on this land. He lets you know up front that this home is not for the city slicker hoping to move out to the wilderness, with no remote living experience, to rough it in retirement. He even write “This spot is not for wimps, those that are fainthearted, or those that are weak”. Did I mention that you have to produce your own electricity, as this property is not on a grid? Do you think he will sell this home, using such an unconventional way of attracting a buyer? What do you think of his approach? This is awesome…I sent it to my sister, she wants to move and this place sounds perfect for her. I’ll be visitng in Minneapolis in June, from the 19th to the 22nd. Maybe we can meet for lunch. Wow, I hope she can make it out to Montana to check it out! I will make a note that you will be in town…I would love to meet you for some lunch! I was once working with a buyer who was looking at historical properties. At one point, the wife commented (with a very negative tone) that something in the home was “old”. I actually laughed out loud and responded (without thinking first) – “Indeed, historical properties, and most of the things in them, are generally old. You really can’t get one without the other. You do want a historical property, right?” I think this is the same concept. You will not sell this house to a “city slicker”, so why advertise it like you are trying? My experience has shown that when you anticipate an objection, the best time to handle it is before it becomes an objection. Another example: When I managed an apartment community, the owner got tired of paying to replace the carpet when it got stained. He decided he would put in VCT tile (like what is in schools and hospitals). It is almost indestructible, and would surely cut down on the future maintenance costs. Yeah… except we had the highest rents in the area, and I had no idea how to lease a property – at the same rents – that had such an unusual floor. So, after a great deal of thought and discussion with colleagues, we decided to “up” sell it. When we described the homes we would say – “oh, this one has VCT tile. Do you know what that is? Do you ever watch HGTV? It’s the latest rage in flooring! You don’t even have to own a vaccuum cleaner – there are no carpets to clean.” Soon, we were charging premiums for the apartments with VCT. I couldn’t believe it. Please let me know when this house sells… I feel like I already know the future buyer! Anon- I really like your “thinking out of the box” ideas. The flooring up-sell was great! The problem with most agents is that they do not know how to handle objections, nor know how to turn them into a positive. You seem to have mastered this. I have had clients tell me they want a fixer-upper, then walk into a home an comment that it needs a lot of work. “Umm, yeah, I thought that is what you wanted”. Same thing with historic homes, as you mention. But I guess that is just human nature. It will be interesting to see if the home in Montana sells,and will be sure to update you if it does!